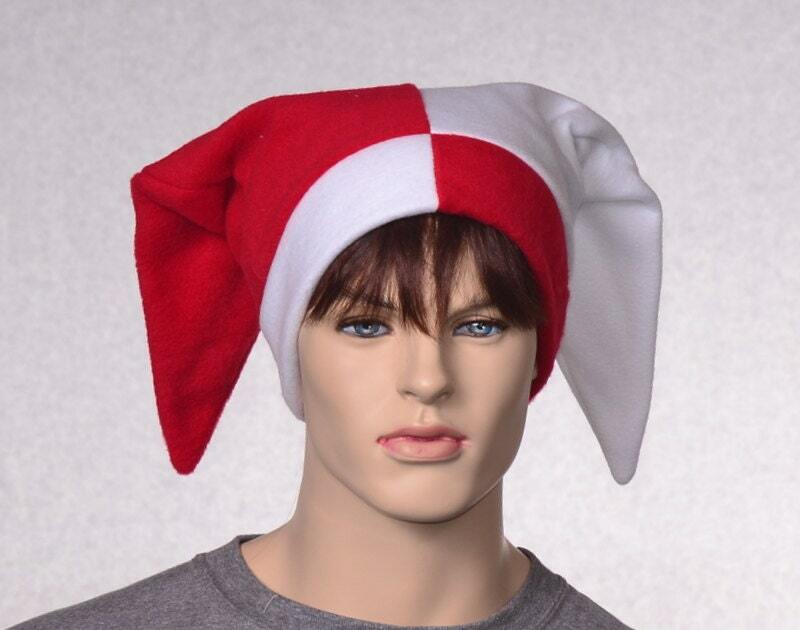 Red and white patchwork jester hat with points facing the rear. The backward facing jester hats are a new addition to the MountainGoth line and have proven to be quite popular. 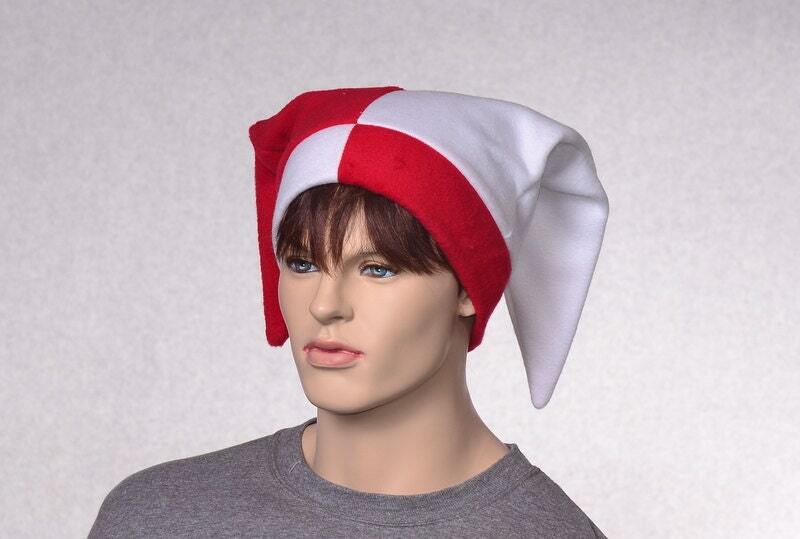 Made so the color of the headband contrast the color of the body in red and white. Made from warm fleece. 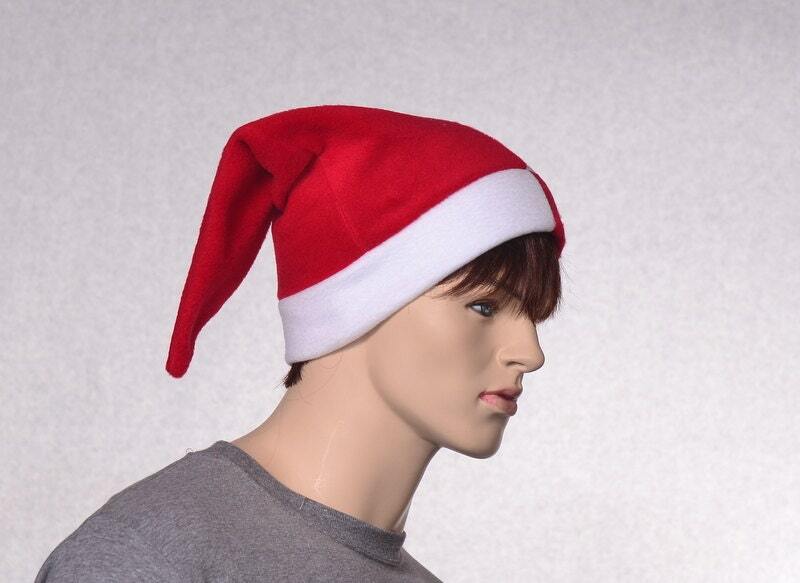 Fits heads 21.5-23 inches. Many variations of trim finishes are available. 6. Red and White pompom in contrasting color as the side of body. 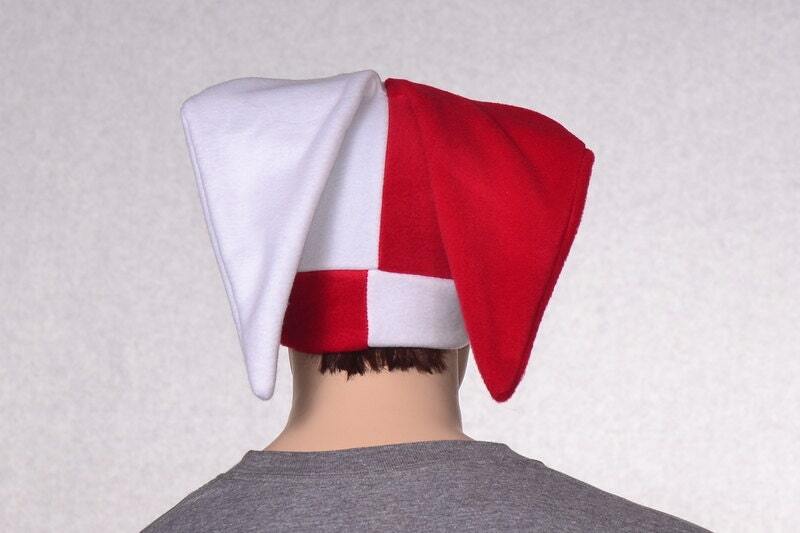 7 Red and White Pompom in same color as the side of the body. I can also do Tassels by special request, convo me if that is what you are looking for.